Post Malone’s “rockstar (feat. 21 Savage)” was the lead single to his second studio album, beerbongs & bentleys. The hit reached the number one spot on the US Billboard Hot 100, and at the time of this post, has nearly 1.5 billion streams on Spotify and two Grammy nominations for Record of the Year and Best Rap / Sung Performance. 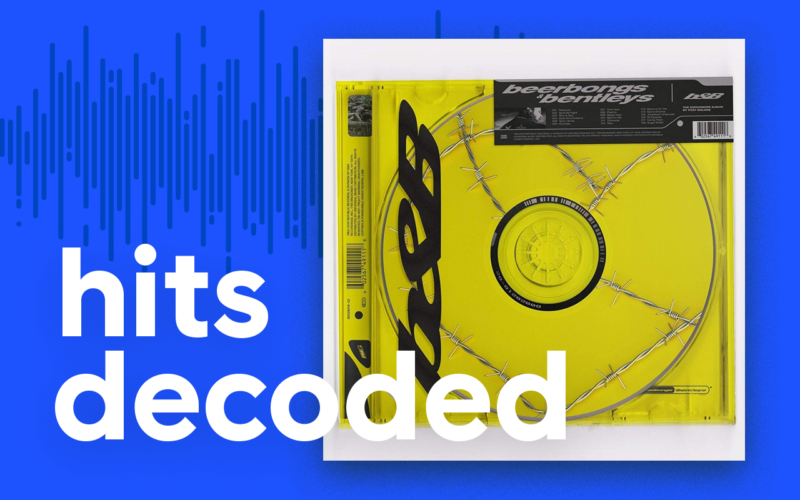 It’s obvious that Post Malone brings his incredible talent to the record, but what makes the track itself a hit? Let’s take a look at three core production elements that make “rockstar (feat. 21 Savage)” an instant classic. To break down and shed light on each of these elements, I’ve produced a recreation of the instrumental below. 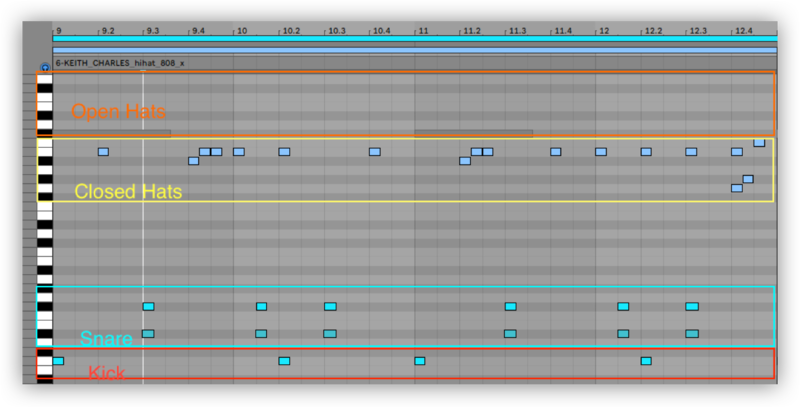 Splice the Ableton project to experiment with the beat yourself – the song is at 160 BPM and in the key of G minor. Producers Tank God and Louis Bell took a less-is-more approach on the drums, especially with the hi hats. There are only four main components in this beat: a kick, snare, closed hats, and an open hat. The most challenging part of recreating the drums was getting the panning for the closed hi hat right. There are some really nice panning choices that make the hats feel bigger without getting too complicated or busy. The 808 used in “rockstar” is pretty clean – I ended up chopping the first hit from this 808 loop by Capsun ProAudio. Next, I softened the attack and added an Overdrive device to add more texture. Finally, I added an EQ Eight to sculpt and attenuate the higher harmonics. The 808 moves from the tonic G up to Bb, then down to Eb. Although it’s pretty simple, this line is very effective at pushing the energy forward throughout the track. The melodic elements of “rockstar” are what really take this track to the next level. There’s an undeniable sense of regality, and the slightest changes carry the energy forward throughout the entire track. There are two main melodies (plus several other textural layers) that fit together beautifully. Are there any other key characteristics that you think make “rockstar” a hit? Let us know in the comments below.